To start: we had a bake off at the studio on Friday. I wanted to explore my Pin Boards for something fun, but universally enjoyable by everyone. I opted to make the vegan red velvet cupcakes I made earlier last year, but wanted to switch them to a Blue Velvet cake instead. This is why. However, I also ended up with these by mistake/quick thinking. My downfall? I forgot how much red dye is actually needed to make red velvet cupcakes. I usually pour in a good tablespoon or three. For some reason, I thought that I needed less blue dye to make blue velvet. Equals this ugliness on the left. But I had two dozen greenish brown cupcakes that were completely edible, but ewwww… gross. 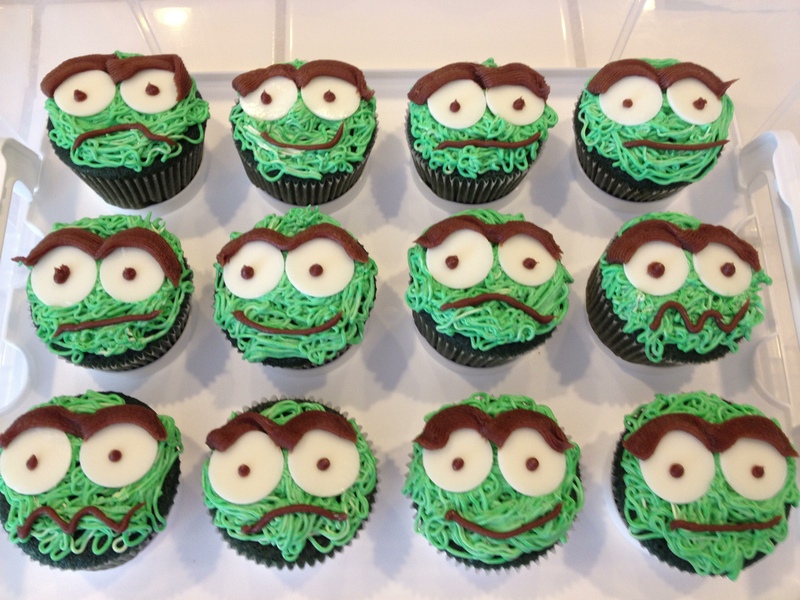 So they became Grouches after some dairy-free frosting was made. Preheat oven to 350 degrees Fahrenheit. 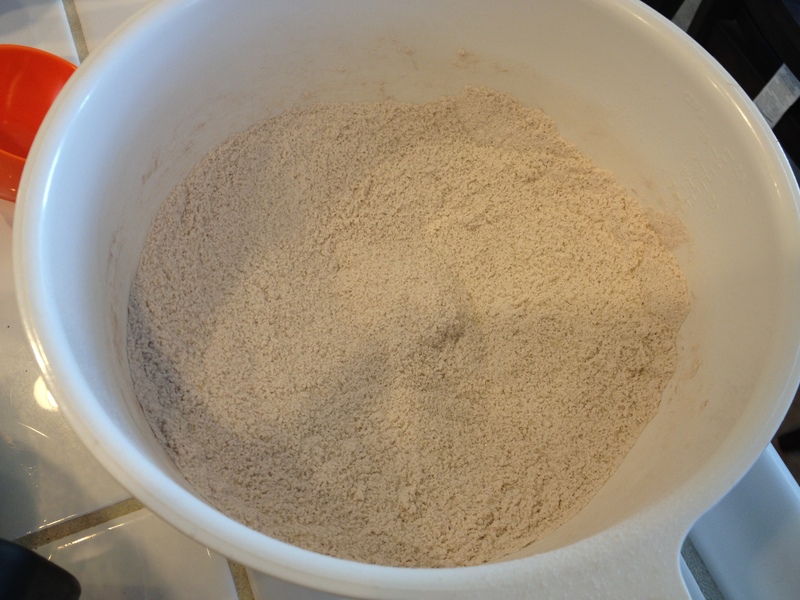 In a large bowl, whisk together the all-purpose flour, refined sugar, cocoa powder, sea salt and baking soda. 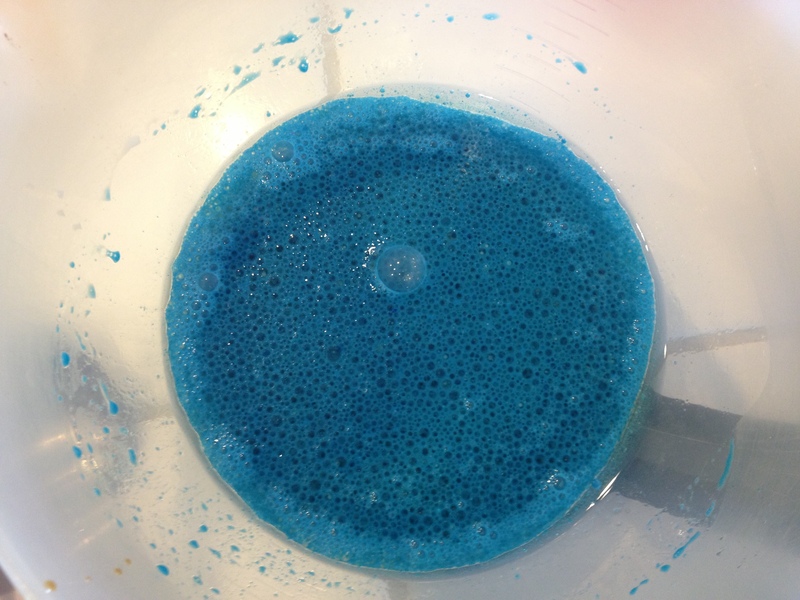 In a separate bowl, stir together the grape seed oil, milk, vanilla extract and food coloring. Stir the dry ingredients in with the wet ingredients, then stir in the distilled white vinegar. Pour the batter into cupcake liners and bake for 18- 20 minutes or until cupcakes come out clean after a toothpick test. For the frosting, I mixed one stick of Nucoa plus 2 cups+ of powdered sugar and 1 teaspoon of almond milk. Then dyed it. The problem with Nucoa is that it doesn’t really mix THAT well. But it doesn’t have soy additives either. If you can, use some other non-dairy spread like Earth Balance or whatever. The vegan cupcakes were really moist. I probably could have baked them a little longer and they would have been fine. The original recipe called for a 10 minute bake time and that was NOT enough. They also weren’t very sweet, which was nice. The Greek Yogurt Box Mix wasn’t bad either. Just kind of had a chewy texture. It was a little bizarre honestly. 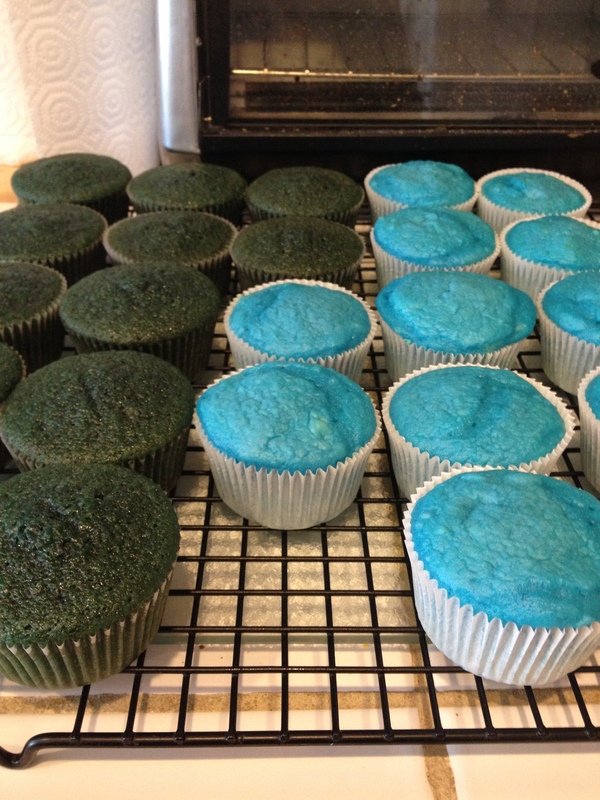 So – for the fuzzy Muppet-ness, I used a Wilton #233 tip (Grass) to frost the cakes. I used white chocolate candy melts for the eyes and then dotted them with some Wilton brown gel. I DID buy some edible writers which did NOT work on the white chocolate. (They are getting returned to the store.) 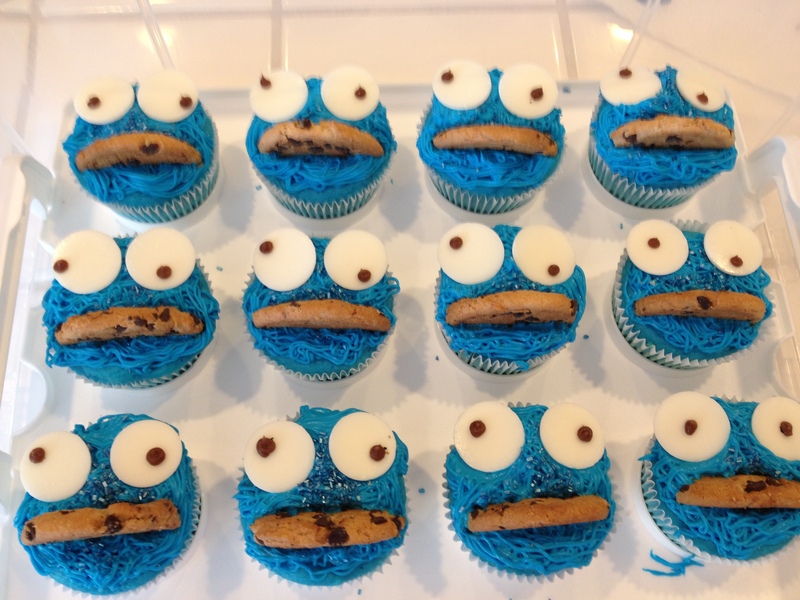 If you have the patience to make and dye your own additional frosting, feel free. I didn’t. For Cookie Monster, shove half a Chips Ahoy cookie where the mouth should be and viola! A Muppet.